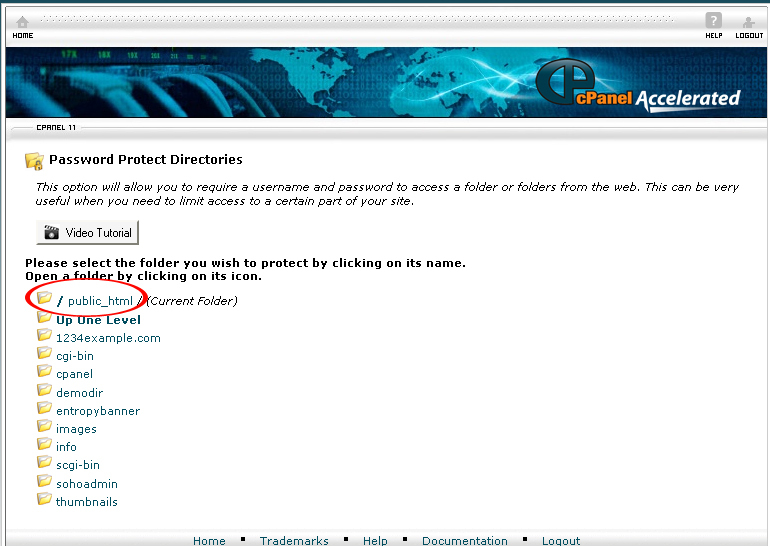 On the homepage of your cPanel, click on the Password Protect Directories icon under “Security”. The Password Protect Directories Directory Selection popup will appear on your computer screen. Select a domain from the drop down menu and then click the Go button. Choose the directory that you want to protect with password. Check the “Password protect this directory” check box. 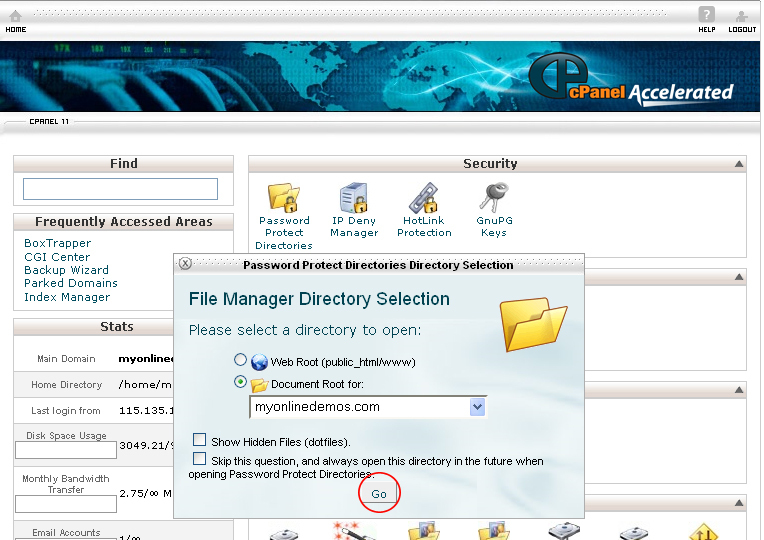 Enter a name for the protected directory in the Name the protected directory text box. Enter a username in the Username textbox. Reenter the password in the Password (Again) text box. The passwords that you have entered must be the same and match with each other. When you are done, click the Add/modify authorized user button. Only the username listed in the Authorized Users list box will be able to access the directory.